One widely underestimated task in young companies seems to be marketing. Whether you are building a startup with a new product or are on your way to becoming a freelance superhero utilizing your expertise: You might be the best in your field, provide the ultimate solution to a common problem, or have an innovative product everybody needs – If no-one knows you, your knowledge or your product exist you are up for a huge failure. I have been on both sides of the table: Trying to market a new product, desperately looking for more exposure and a marketing consultant trying to teach young companies the basics of marketing. More often than not the budget for marketing is low to non-existent. Still, with online marketing, there is a chance for everyone by using brains, social media and content to market a product without a huge budget. But without content, your online marketing is going to be a hard nut to crack. without content your online marketing is going to be a hard nut to crack. I have talked to startup CEOs trying to convince them that their chances of “something going magically viral” are close to zero if they do not have some basic visibility. And what should this “something going viral” be if not some piece of content? But let us be honest, the chances that something going viral is going to save your non-existent marketing are lower than low anyway. “Something going viral” is not a marketing strategy. Still, if you get it right, you have the chance of getting, at least, some of your content a significant amount of shares. And producing a constant stream of content that is worth sharing is going to give you the chance you are looking for of the much-needed traction. That is where a writer suddenly becomes the savior of your business because a writer can create the basics without which your marketing will remain some blind poking in the dark depths of social media. I doubt that there is a successful social media marketing strategy without content. You need to provide value on your social channels, or no one is going to follow you. What should you share if you do not have content? How can you provide the value on your social accounts without content? Why should people listen to you if you do not share valuable content? Now, you might answer to #1 that there already is so much great content out there, accessible to you and ready for you to share with your social audience. Providing value is not the problem since you can easily curate great content and this way provide value from other peoples’ content. So far, so good. But curated content is only to get you so far. curated content is only to get you so far. Honestly, how is all that curated content going to bring you any visitors to your own site? When all the value you provide originates from somewhere else, why should people listen to you as a source? And how are you going to stand out from the mass and build a reputation as an expert for yourself or your company, if you only share other peoples’ opinions and knowledge? Curating content may help you grow an audience in social media, but it is not going to give you any traffic to your own website. It is not going to help you much with building a reputation as an expert – apart from being an expert curator. Only your own content can drive business your way. A writer can give you all the content you need. Everyone can write. 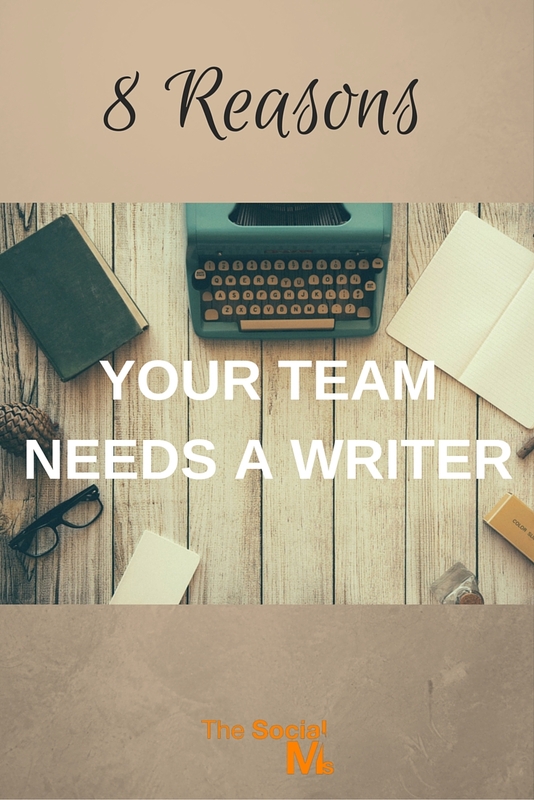 If you cannot afford to pay for your marketing, but have at least one writer on your team, your case is half won. You do not have to pay for expensive videos, photographs or graphics if you have someone who can write. 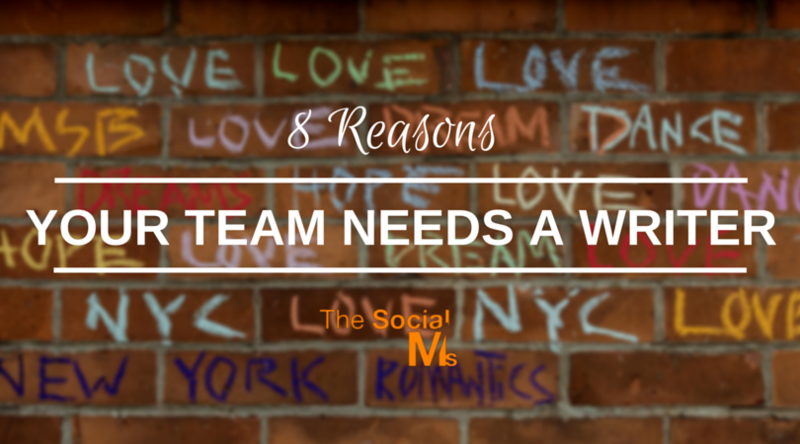 You can produce an endless stream of great content with investing only your own (or your team’s) time. I have seen many young companies trying to push their success in social media marketing with posting more – and for lack of more content, they post more product and company information. They understand that they need to tweet more or have more Facebook updates to gain visibility and end up repeating the same boring sales messages over and over again. Most of the time that is not going to work. Most of the time this behavior can hurt your accounts and reputation. People do not like to connect to over-salesy people in social media. We all are looking for information – but we get enough unasked-for promotional messages to keep us from hitting that unfollow button for long. People do not love to follow over promotional accounts in social media. They like to follow accounts that provide value. If you have more great content to push with your social accounts, you can push growth – for your social accounts as well as for traffic to your great content. A writer can help you to produce the content that provides value. This will be your chance of building an audience – in social media and on your own site. A writer also can help you connect to the influencers and to dip into their audiences. By writing guest posts for their blogs and/or performing (written) interviews with interesting people from your niche you can not only connect with these already established people. You can also get your business in front of their audience via guest articles on their blogs. Or get the influencers to share your great interview with them with their own audience. 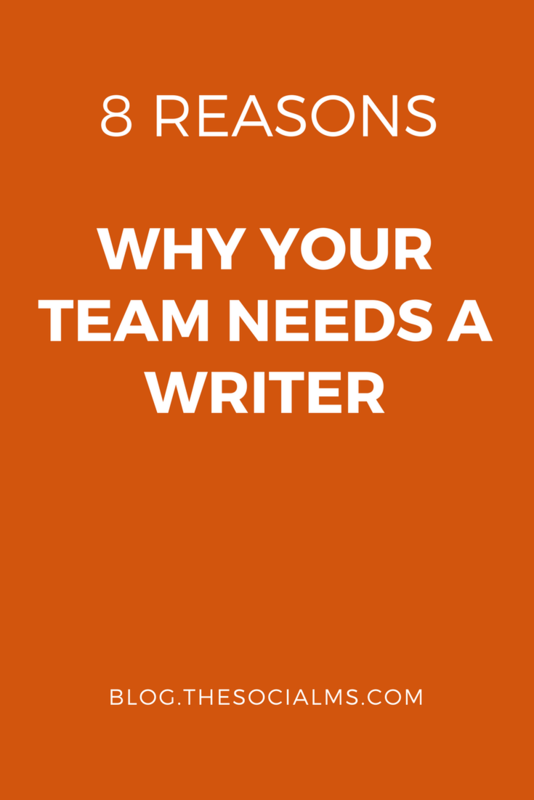 Yes, your team needs a writer – and content. But you also need some knowledge of how to use social media to find an audience for your content. No need for anything fancy or overly complicated. 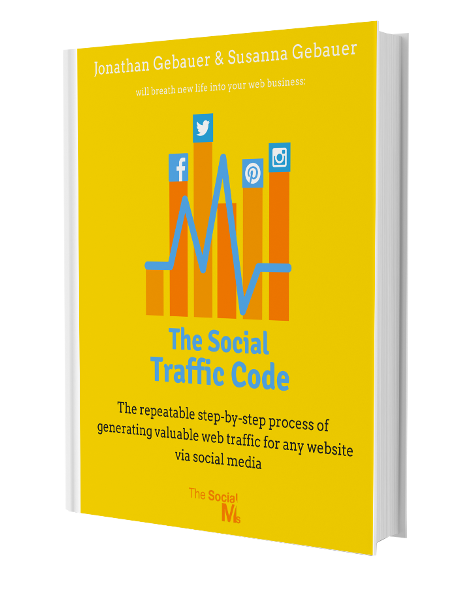 Just a proven process that will help you generate targeted traffic from Social Media to your content. Now, I talked a lot about the importance of a writer to create content that is not promotional. But to be honest, your marketing messages ARE important as well. And the better they are written, the better will be your results. It is not only that you need to get one marketing message right. A writer can help you create a variety of marketing messages, which you can test and then chose the best. Or use several of them. There are more places than your blog and your social accounts, where good copywriting can make all the difference. Have you ever been involved in optimizing landing pages? Good copy can make all the difference. Newsletters, your website, brochures, whitepapers, … Good copy is needed almost everywhere in your business. I am not telling you that you necessarily need to hire a copywriter. But it helps if at least one person in your team likes writing. With this much need for written content, writing should never be regarded as a necessary evil or a task you would rather avoid. Good writing is something you can learn with practice. But hating it does not help with producing good content. Never underestimate the power of the written word. Never underestimate the power of the written word.